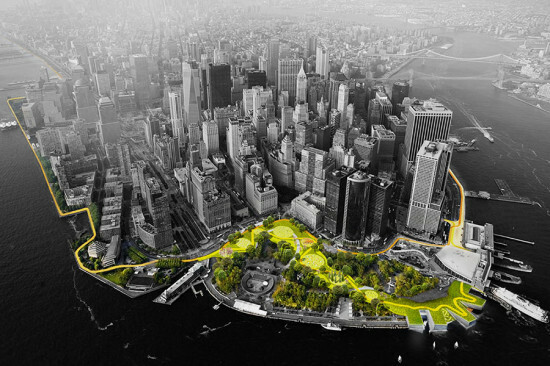 The Bjarke Ingels Group’s plan to wrap Lower Manhattan in a landscape berm to keep floodwaters at bay was definitely one of the most architecturally interesting proposals to come from Rebuild By Design, the Department of Housing and Urban Development’s competition to boost resiliency in a post-Sandy world. Last June, the plan—known as “The BIG U” or “The Dry Line”—also became the competitions’s biggest winner. To implement BIG’s ambitious vision, New York City was allocated $335 million, significantly more money than what was provided for the other five winners. 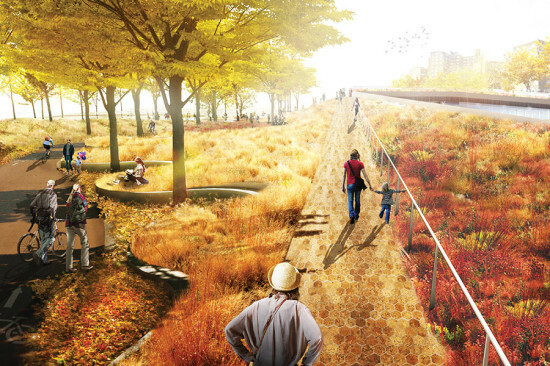 Last fall, Daniel Zarrilli, the director of New York City’s Office of Recovery & Resiliency, told AN that the de Blasio administration was “absolutely committed” to realizing the plan, but that the end result wouldn’t necessarily look like what we saw in the renderings. For one, the money would not be spent on the entire circuit, but rather one section of it on the Lower East Side. As the city continues taking steps toward make this plan a reality, a production company called Squint/Opera has released a pretty cool short film about BIG’s grand vision. The piece is part of the firm’s current exhibition HOT TO COLD at the National Building Museum in Washington, D.C. If you can’t make it to D.C. for the exhibition, we’ve got you covered and have posted the video above.